The threats to security in Southeast Asia have been serious and constant since the end of the Second World War. 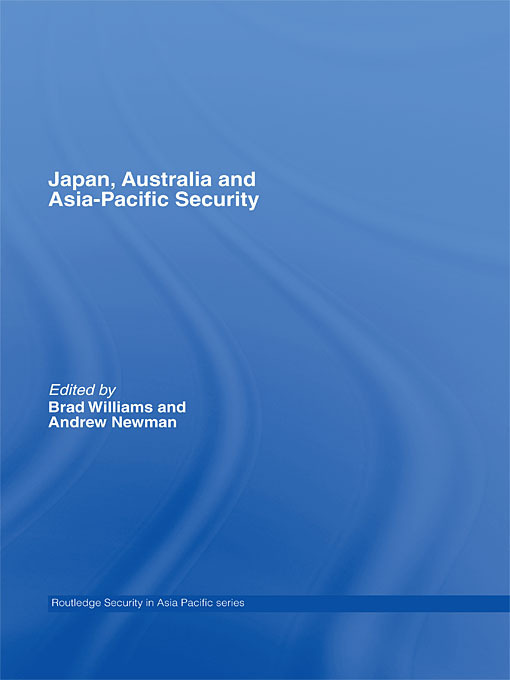 The book provides an absorbing account of the evolution of a key axis of regional stability - defence contacts between Japan and Australia, tracing the relationship from the early post-war period to the post-9/11 present. Though most works have focused on their economic nexus, Japan and Australia’s defences and security ties have assumed increasing importance since the mid-1990s. With problems such as North Korea’s nuclear program and the China-Taiwan standoff threatening regional stability, the two countries have sought to strengthen bilateral relations, and indications are that this relationship is likely to grow in the future. Japan, Australia and Asia-Pacific Security explores the evolution of their relationship in the broader context of Asia-Pacific security, addressing regional, sub-regional and transnational issues. This captivating book will be welcomed by those with an interest in Asian politics, international relations, and security studies. New security concerns are emerging in the Asia Pacific region as global players face challenges from rising great powers, all of which interact with confident middle powers in complicated ways. This series puts forward important new work on key security issues in the region. It embraces the roles of the major actors, their defense policies and postures and their security interaction over the key issues of the region. It includes coverage of the United States, China, Japan, Russia, the Koreas, as well as the middle powers of ASEAN and South Asia. It also covers issues relating to environmental and economic security as well as transnational actors and regional groupings.